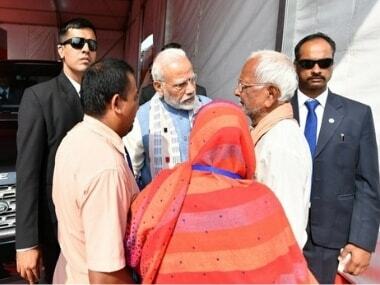 Balangir (Odisha): Prime Minister Narendra Modi on Tuesday met the parents of Doordarshan (DD) cameraman Achyutanand Sahu who was killed by Maoists in Chhattisgarh's Dantewada district in October, 2018. 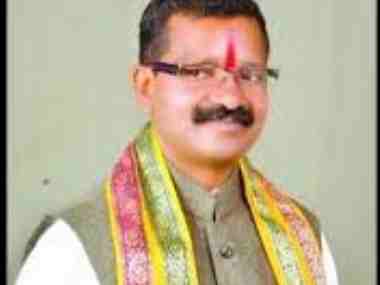 The prime minister offered condolences to Sahu's parents on the irreparable loss during his visit to Balangir. Addressing a public gathering in the district, Modi said Sahu, who was targetted by "cowardly" Maoists, was performing his duty of presenting to the world the democratic picture of the country through Doordarshan. He also said that sacrifices such as his have only strengthened India's resolve to end this cycle of violence. DD news had deployed a team to cover the elections in Bastar. The team, accompanied by the police forces, was videotaping a notice put up by the Maoists to boycott the elections and stop development works. 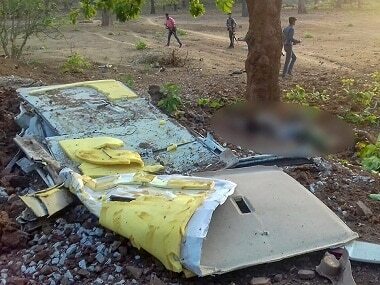 Subsequently, the Maoists attacked the team, which was accompanied by a dozen security personnel. Sahu was caught in the crossfire before rebels snatched his camera.